From airlines to aerospace, telecommunication to finance and everything in between, Phoenix is home to numerous flourishing organizations. Continued education can help you stay ahead of competition. Knowledgehut offers smart courses for industry-specific skills. The academy offers several in smart learning modes. Applicable across industries, a CSD certification in Phoenix can prove to be especially valuable. The two-part CSD training in Phoenix is delivered by Scrum Alliance certified trainers. The first portion focuses on scrum basics, discussions on roles, ceremonies and many other inter-related concepts. Known as the CSD technical track, the second portion includes discussions on scrum, agile, related concepts, practice sessions as well as coding. 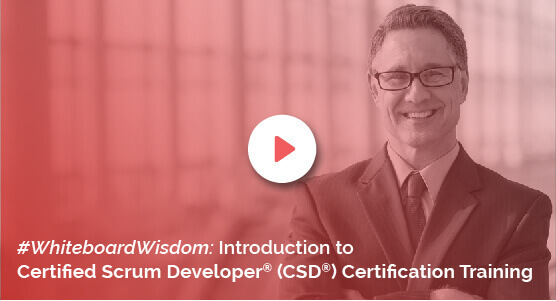 By attending the CSD certification in Phoenix workshop at Knowledgehut, participants will earn Professional Development Units (PDUs) and Scrum Educational Units (SEUs). The units obtained through the CSD training in Phoenix serves to satisfy the mandatory requirements of the Scrum Alliance certification. Delivered through a fast track mode, this certified scrum developer training in Phoenix combines active learning and fundamental practical exposure. Individuals can advance their know-how and career with this instructor-led coaching. At an organization level, this course can help build billable talent pools rapidly. Knowledgehut offers the CSD course in Phoenix bundled with several benefits. The CSD course cost is inclusive of the certifying exam fee. Certified participants get a Scrum Alliance logo recognising their skill plus a 2-year membership. Supporting continued learning, Knowledgehut provides a 100-day access to its scrum e-learning course and much more. Anyone can register for the CSD training in Phoenix which is offered at a competitive price. Before you enrol, learn more about the certified scrum developer certification in Phoenix. To schedule a demo, contact us.